After a 10hr flight our 1st stop was LA. 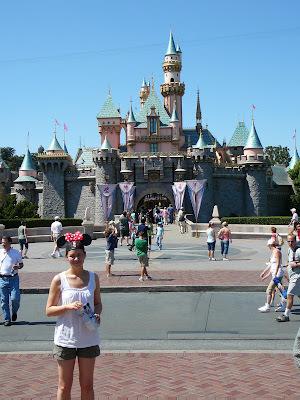 We were really impressed with LA and had a fantastic time there (one of Sam's favourite stops). Day 1 was spent doing a 5hr 'Grand tour of LA'. 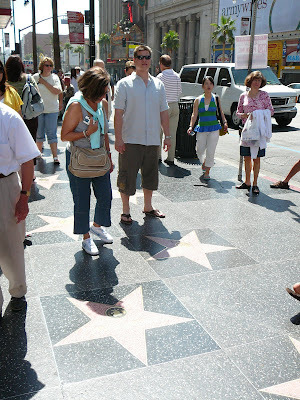 This tour helped us get our bearings & took us to all the major attractions such as the Hollywood Walk of Fame, Kodak Theatre & Chinese theatre. We also saw the famous Hollywood sign and visited the Hollywod Bowl. 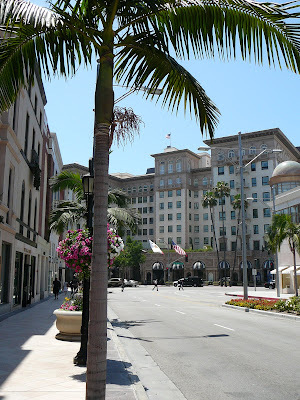 We drove through Beverly Hills, down to Rodeo Drive then along Sunset Blvd & Hollywood Blvd. 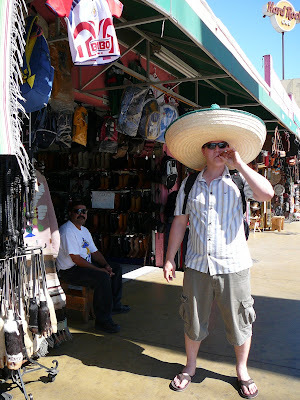 When in LA we also took a day trip to Tijuana, Mexico which was a very colourful and interesting experience and worth a look...just for a day! It was quite intimidating at first with everyone wanting to sell you stuff and being very pushy but we became more confident after a little while. 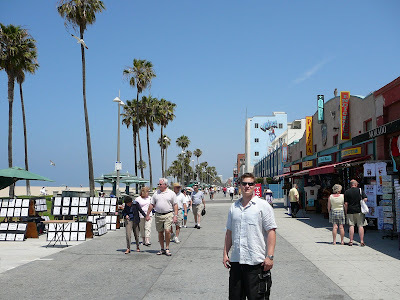 On our last day in LA we took the bus to Venice Beach where we hired roller blades as you do! We then walked along the market lined path all the way past Muscle Beach to Santa Monica Pier which was a fair way but lovely to walk. There were some great looking characters around and obviously a very popular place for all sorts of leisure activites. The beaches we saw in california are so wide with lots of sand so they are a bit different to home. A fair bit colder here and windy but a beautiful city. 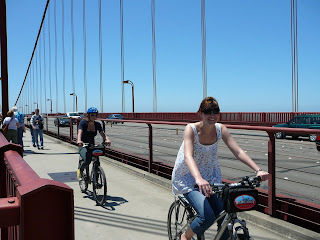 We spent the first day "Biking the Bridge". This is where we hired bikes from Fisherman's Wharf and rode push bikes all the way across the Golden Gate Bridge to Sausalito. 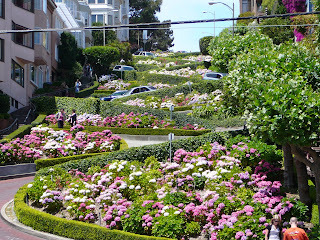 Sausalito is a pretty, european looking bayside town. Then we caught the ferry back with the bikes. It was lots of fun and something different! 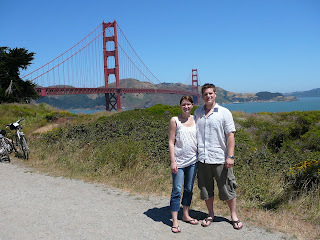 We spent plenty of time at Pier 39, Fisherman's Wharf and saw the sea lions but most of them had migrated for summer. 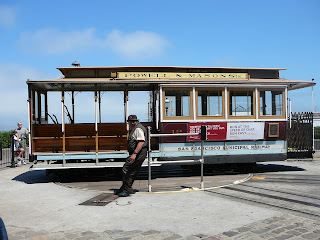 Also in San Fran we took a cable car to the top of the 'Crockedest street' and walked down before visiting Alcatraz in the afternoon. 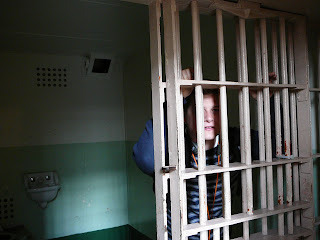 Alcatraz was great and very interesting. Vegas was amazing and lots of fun. We stayed at Planet Hollywood but visited all the other major casinos like Bellagio, Paris, Luxor, Venetian, Caesars Palace... 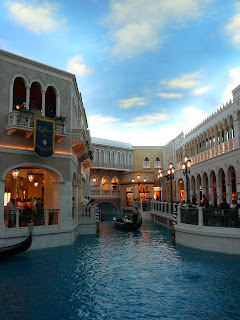 The 1st photo below is the view from our hotel room and the 2nd photo below was taken inside the Venetian hotel with the roof painted like sky! Impressive hey? 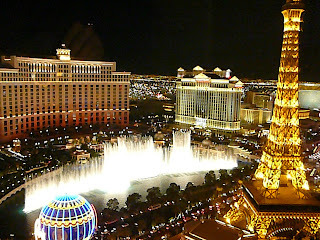 It's dazzling at night and we had a beautiful view of the Bellagio Fountain from our hotel room. We saw a couple of shows including 'KA' by Cirque du soleil at MGM Grand and a magic show. 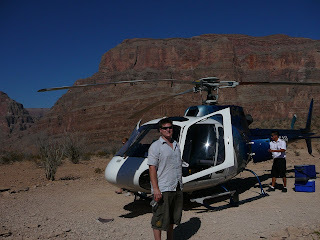 We also did a fantastic helicopter tour to the Grand Canyon. It was a great ride and just amazing. 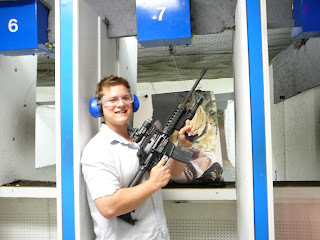 Sam had a turn of shooting a machine gun in Vegas as well. I sat in the box to watch. The gun was so loud and it was a really chilling noise. 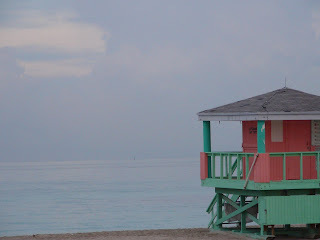 Miami gave us the tropical weather, sand and sea that we were craving (especially me). We spent a good amount of time at the beach or by the pool drinking cocktails which was so wonderful (are you jealous yet?!). 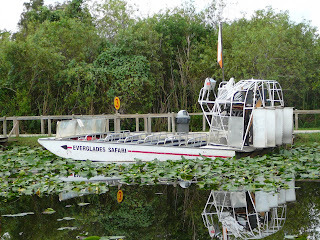 While we were there we did a tour of the Everglades National Park in an air boat which was really good although we were told that because of the lack of rain most of the alligators had gone out to deeper water. So i thought we would have seen more animals but we did see a couple of 'gators. We spent 4th of July at South Beach so there was a big firework display and concerts on at the beach. We saw lots of people letting off their own fireworks too. 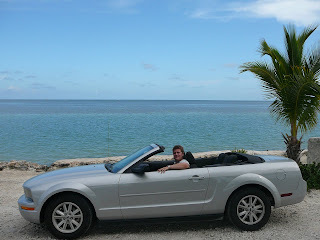 On our last day in Miami we hired a Mustang convertable and drove down the Florida Keys. It was a gorgeous day. We got about half way then turned around. It's about 4hrs 1-way to Key West at the end. 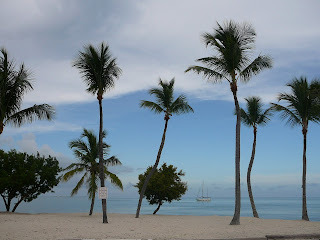 We were both surprised at how relaxed, small and casual the little towns are on the Keys. The ones we saw were just like Straddie for example which was really nice but for some reason i thought it would be a bit more exclusive and trendy. Sam did well driving on the wrong side of the road! We met Mum and John in NY and it was great to see them of course. We spent 8 days together. We were lucky enough to stay at my cousins empty Manhattan apartment which was a great base. 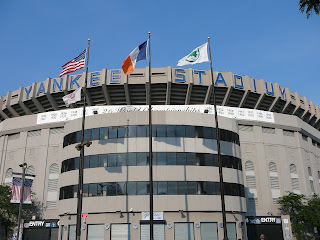 We had Ground Zero in walking distance which we visited. It's a big construction site but still eerie and sad. 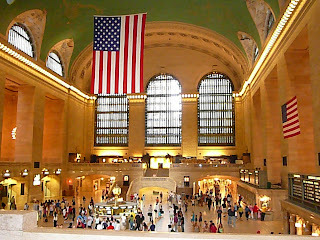 We got the subway up to Times Square, Empire State, Fifth Ave etc. 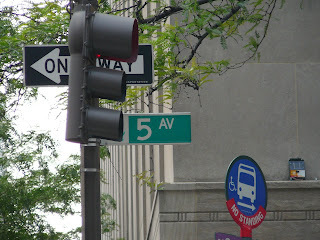 We did a hop-on, hop-off tour of the uptown (inc. Harlem), downtown & Brooklyn which was a good way to go. 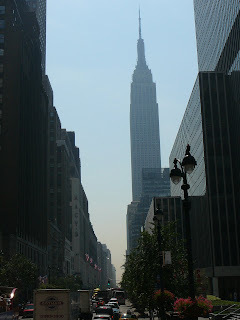 We went to the 'Top of the Rock'afella Centre and the Empire State. 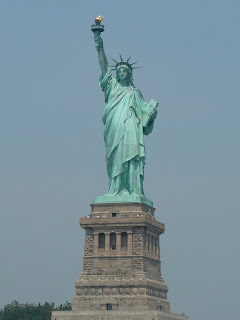 And we did a ferry ride around Statue of Libery which you can't go to the top of now since 9/11. 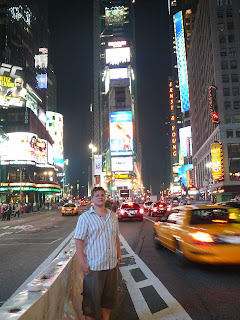 New York was soooo hot and humid which unfortunately made us all very uncomfortable. 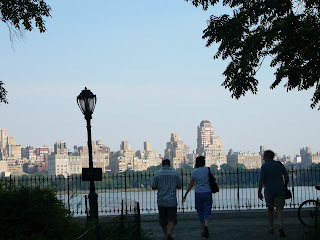 Central Park was one nice spot to get some fresher air. We would definately recommend to see NY at a cooler time of year! 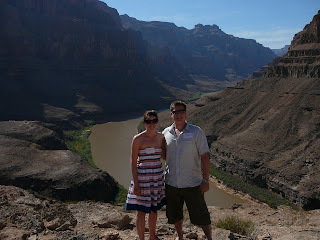 But a fun trip and great to see all the sights just the same. 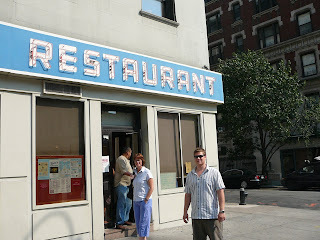 How could i forget, we had a milkshake at the Seinfield restraunt! 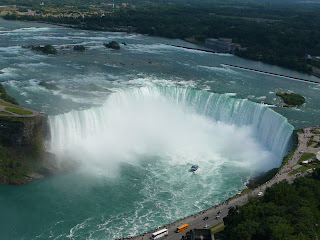 A really beautiful, well maintained place and definately worth the trip. 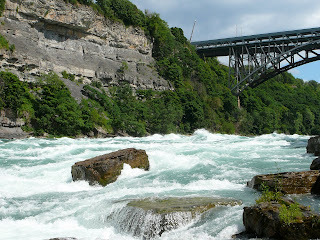 We did the Maid of the Mist boat ride near the base of the falls which was cool. You get given plastic ponchos to wear cause the mist is more like heavy, windy rain! It was great fun :) One of my favourite parts of this trip was the 'white water walk' along the edge of the Whirlpool Rapids. 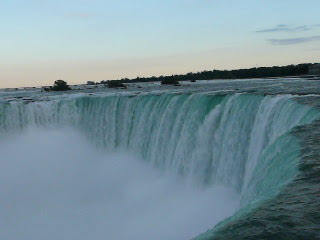 It's amazing and so beautiful. 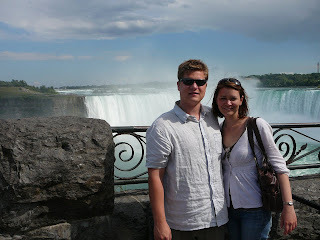 After 2 nights at Niagra our trip was nearly over :( We all flew back to NY to catch our flights the next day. Well just thought I would check in and see what is happening and as usual sounds like you guys are having a fabulous time!!! Can't wait to tell everyone around here to have a look at those fantastic photos! 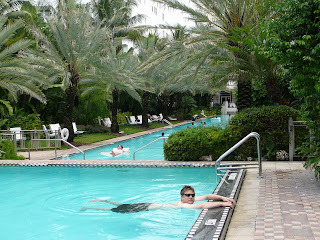 Now I am very jealous as I head for the codrals to beat this awful freezing cold!! I want to be in the long London days! Love your work Anita! Photos are fantastic and you look really happy. Sam, put that machine gun down! Everyone will be jealous when they see what a great time you both had while you were over here. Holidays are always too short, no matter how long they are. I'm pleased you had such a great time. Dad sent me an email telling me to check our your holiday. It looks lie you had such a good time! Very jealous of the L.A. tour of Hollywood! Hope london is going excellent aswell. Good to be able to see what a great time you had on your best holiday ever.Keep up the good work.